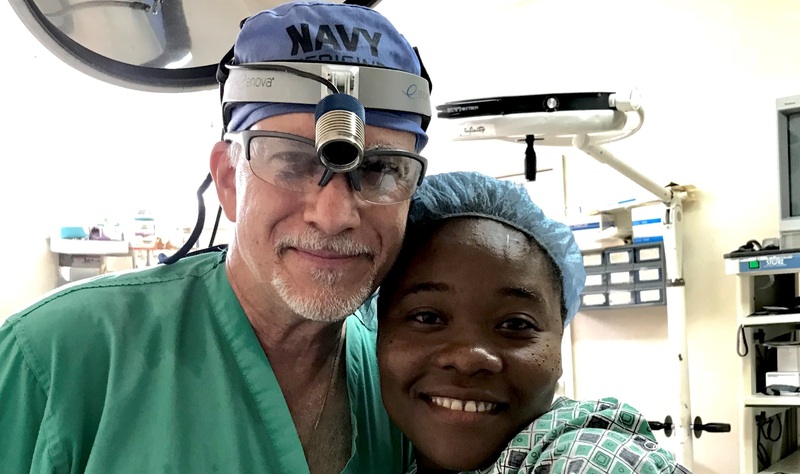 “In Haiti, you really are a general surgeon” says Dr. Peter Edelstein. General surgery can be characterized, in the case of Dr. Edelstein, by the performing of circumcisions followed by cosmetic facial surgery followed by a hysterectomy. This range of surgeries doesn’t exist for general surgeons in modern day America, as doctors and surgeons have become ever more specialized. But in places like Haiti, all maladies must be treated (often in an advanced state), and surgical help is extremely limited. 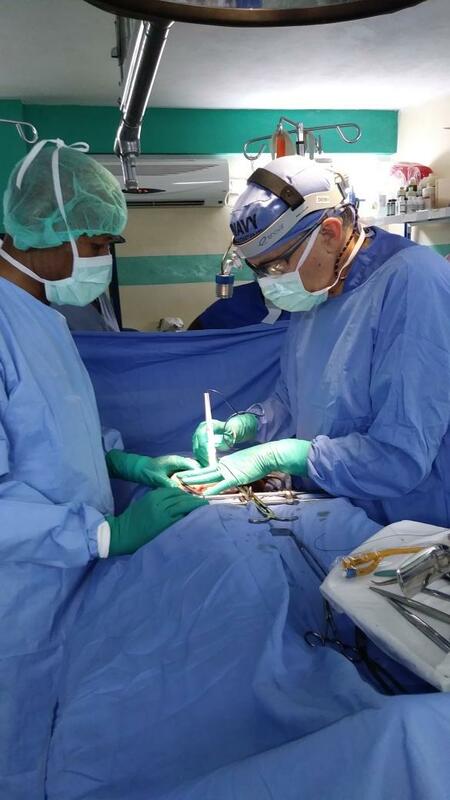 Dr. Edelstein recently traveled to Bolivia with Medical Ministry International (MMI) and to Haiti (sponsored by Lumiere Ministries) to perform procedures for those that need it most. Trained in General and Trauma Surgery and specializing in Colon & Rectal Surgery, Dr. Edelstein has spent his recent years as an international physician executive. His trip south was not just a return to the O.R., but a chance to give back. Haiti is the poorest country in the western hemisphere, a country whose situation has been made worse by earthquakes, corruption, and disease. “Benign diseases cripple and kill all the time in Haiti,” says Dr. Edelstein. “Diseases often become very advanced because there is very limited surgical care.” The annual yearly salary in Haiti is $450 USD, garbage is everywhere, and the power goes on and off all day. And it’s very, very hot and humid. But that doesn’t stop the people from having hope. “Their optimism in the face of poverty is astounding,” Dr. Edelstein reflects. When it comes to operating in countries like Haiti and Bolivia, the situation and equipment are less than ideal. The operating rooms are often lit by a single dim, incandescent bulb, and power outages are routine. Thus, to perform the numerous deep cavity surgeries (and even the more superficial procedures), illumination is often a serious rate-limiting resource. Without the ability to see clearly, many operations become difficult and dangerous. It’s at this point that Enova lends a big hand with our headlights. Dr. Edelstein’s time in Bolivia and Haiti can teach us a lot about the way in which humans inhabit the world, and it can also teach us all to be a little more generous. 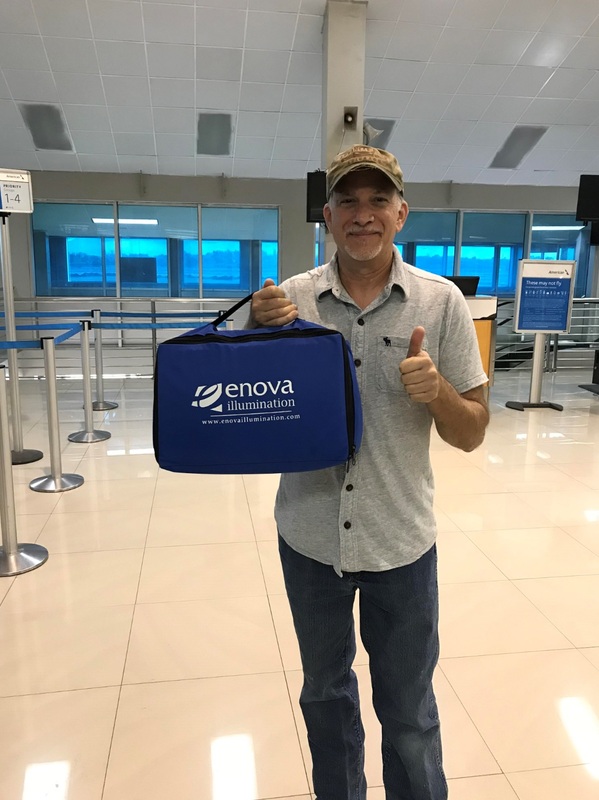 As a company, Enova is committed to being a positive force in the global community, and we will continue to do our small part to help people like Dr. Edelstein as they work to improve the lives of others. If you or someone you know is ever in need of illumination on an upcoming mission, please reach out to us, and we can give you a hand. If Enova can help those who help others, the world becomes a bit brighter. Next PostNext June Shedding Light is here!